It's been some time since we've taken a look at anything from Arctic (formerly known as Arctic Cooling). The company has diversified into several different product lines, which bizarrely includes batteries and cable organisers amongst other things. 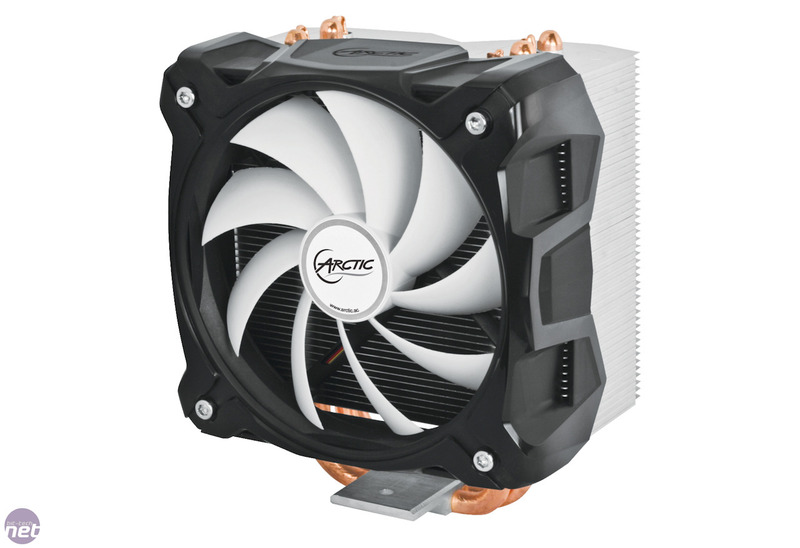 For the PC enthusiast, especially if you've been in the game more than five years, Arctic has practically been our bread and butter when it comes to thermal paste and its Freezer 7 coolers were hugely popular back in the day. Since then, though, its coolers haven't produced the goods, so when the Freezer i30 turned up, we were sadly sceptical. However, as we've seen many times over the years at bit-tech, even a company that's well known for producing drivel (Arctic thankfully isn't that bad, but we'll let you guess who else might be), can occasionally produce a fantastic product so we set about putting the Freezer i30 though its paces. The model we're looking at, the Freezer i30, is only compatible with Intel LGA 2011, LGA1155 and LGA1156 (RIP LGA1366 - it looks like you're finally starting to drop off the compatibility list of some coolers). 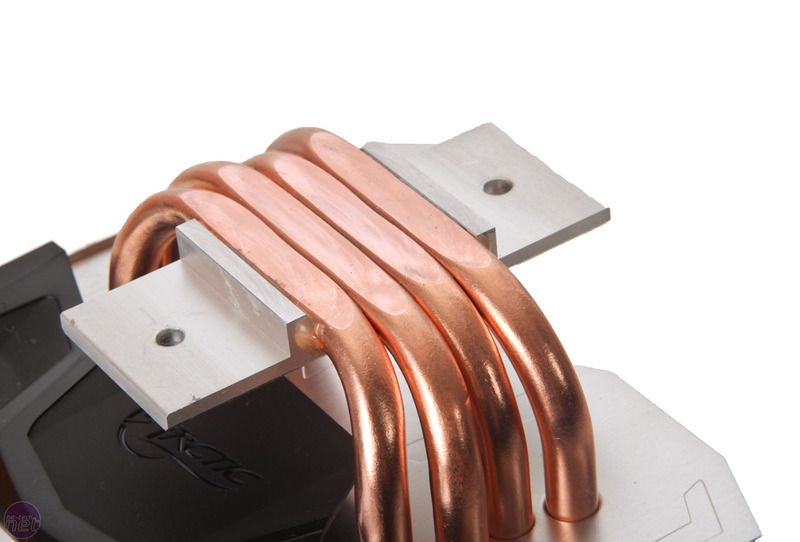 However, an identical-looking model, dubbed the Freezer A30, is compatible with modern AMD sockets - a strange move from Arctic, given a vast majority of other coolers are compatible with the usual sockets from both AMD and Intel under single model numbers. 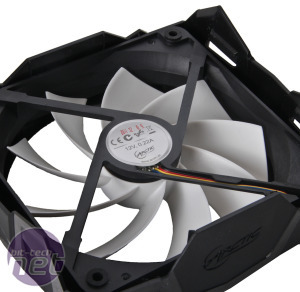 It's a bulky beast, standing 161mm high and 139mm wide, with a large fan cage housing a single 120mm fan clipped to the front of the cooler. 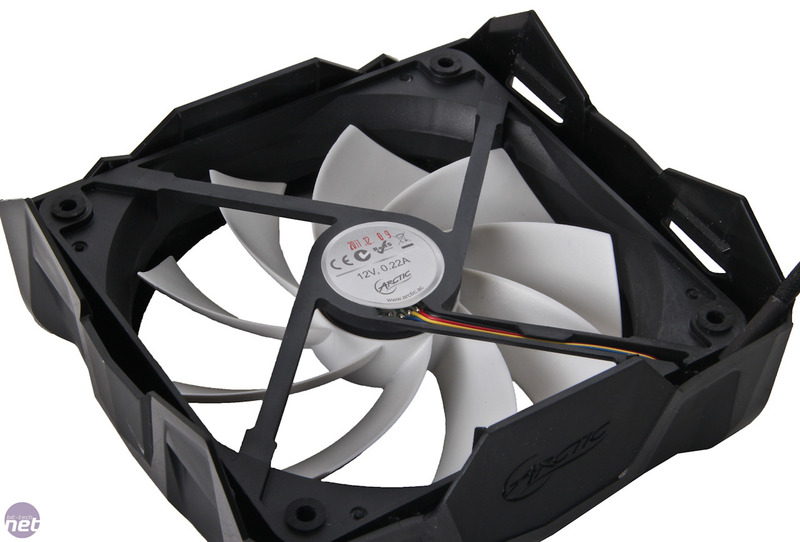 Despite its size and apparent good build quality, it costs only £30 - far less than your average Be Quiet or Zalman cooler of the same size. 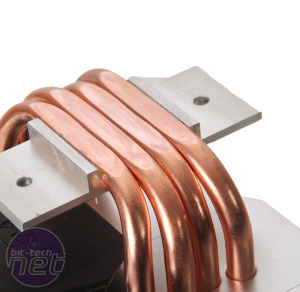 It's a standard tower design and sports four 8mm direct-contact heatpipes. These have been machined fairly well, but there's still some sizeable gaps between them that will need to be filled with thermal paste. The latter shouldn't be too hard, though, as a syringe of Arctic MX-4 thermal paste is included too. 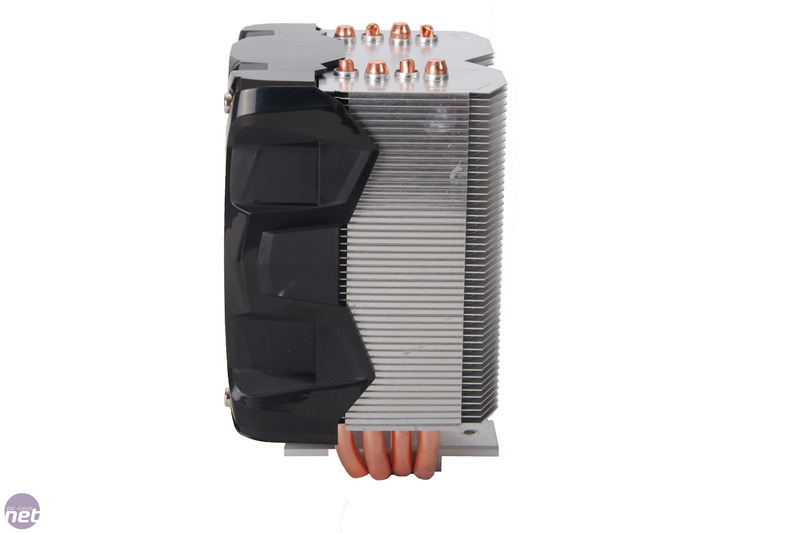 The heatsink is made up of 48 individual aluminum fins in a relatively dense array, while the sides of these have been bent at right angles to help channel the airflow backwards. 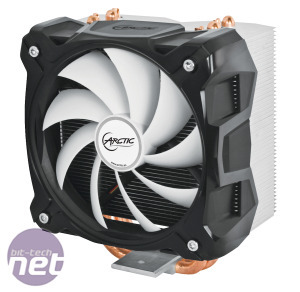 Arctic is certainly confident with its new cooler's capability too, and claims it's good for up to 320W of cooling capacity - 100W more than the usual 220W you see plastered on the boxes of other coolers. Unlike many coolers, the Freezer i30 can be installed in any rotation i.e. with the exhaust pointing towards either the rear, top, front or bottom of your case. Installing it isn't as easy as it first appears, due to the fact the heatsink is so large. 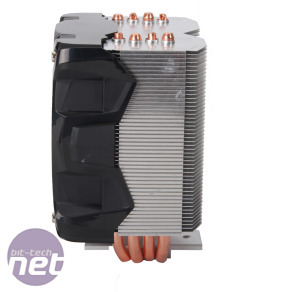 You need to remove the large fan housing and attach two mounting plates to the contact plate on the cooler, and then a long screwdriver is required to stretch down next to the heatsink to reach the mounting screws. It's possible without removing your motherboard but will be a heck of a lot easier if you do.